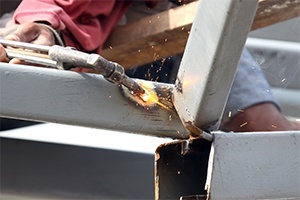 Extreme hot or cold work conditions may present a special danger to workers. High temperatures, for example, may result in heat cramps, heat stroke, or exhaustion. Low temperatures may cause frostbite, hypothermia, or unconsciousness. In some cases, the temperature-related hazard has to do with an outdoor job, such as being a postal worker. However, in other instances, the temperature conditions are artificially created, such as in factories, manufacturing plants, or warehouses. If you are injured due to a temperature-related hazard that you encountered at work, the Boston workers' compensation attorneys at Pulgini & Norton may be able to help you. Many industrial and outdoor jobs involve exposure to temperature-related hazards. Only employees, rather than independent contractors, are entitled to workers' compensation benefits when they are injured on the job. However, in Massachusetts, there is usually a strong presumption that a worker is an employee. Under Section 1(4), an employee is someone in the service of another party under any express or implied contract of hire, whether it is oral or written. The exceptions are certain sales people who work on a buy/sell or commission basis, taxi cab drivers leasing cabs on a fee basis, and people covered for compensation under federal law because they are engaged in foreign or interstate commerce. An experienced attorney can evaluate the facts of your specific situation if you are not sure whether you are an employee, or your employer calls you an independent contractor. If you have suffered a temperature-related injury, you should obtain medical care as soon as possible. Under workers' compensation laws, you are entitled to reasonable, adequate medical care, including emergency room visits, doctor visits, medical mileage, and prescriptions. An employer may require you to have your first scheduled appointment with a preferred provider, but after that you can choose your own health care provider to treat you, and you may change providers once without the insurer's permission. Your employer is supposed to notify its insurer and fill out the pertinent forms. Once you are disabled or unable to earn full wages for five or more calendar days, the employer should notify the Department of Industrial Accidents (DIA). The employer is required to give its insurance adjustor any documents needed so that the claim can be efficiently processed. Sometimes insurers offer lump sum settlements, which are one-time payments in lieu of future benefits. The lump sum settlement may settle only part of your claim or your entire claim, but in either case you should retain an attorney to review the matter. Sometimes temperature-related hazards leave permanent injuries. For example, severe frostbite may result in scars or disfigurement, for which you may be entitled to benefits beyond any disability benefits that may be available. You may also need future medical treatment, such as laser therapies or skin grafting, and it is important to have your attorney make sure that the amount that you would need is included in a lump sum settlement. Temperature-related hazards in workplace conditions may be life-changing. It is important to retain an attorney to help you present your case persuasively to an insurer and the Department of Industrial Accidents. At Pulgini & Norton, our experienced Boston workers' compensation lawyers may be able to help you with your claim. We also provide legal representation to claimants in Medford, Cambridge, and Andover, among other Massachusetts communities. Call us at 781-843-2200 or complete our online form to set up an appointment with a job injury attorney.